We are proud to have become an official Load Trail dealer. We stock a broad selection of car haulers, dump trailers, landscape trailers, and ATV trailers. We also welcome special orders. Contact us or stop by to see our inventory! 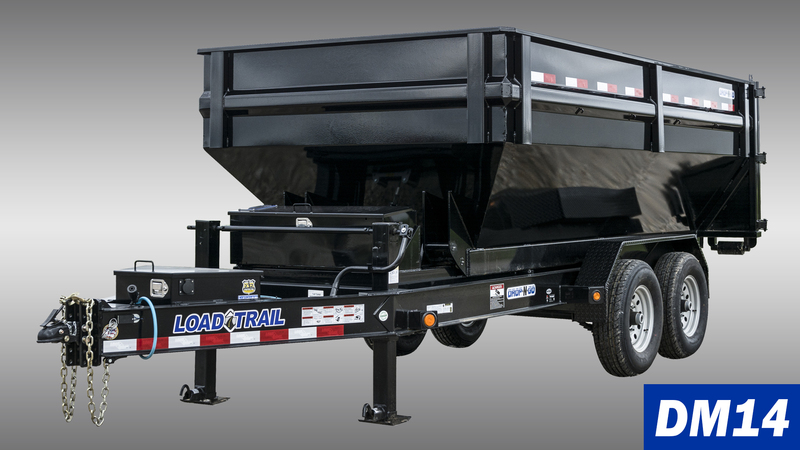 Load Trail has been manufacturing quality American made trailers for 20 years. They offer a comprehensive warranty and a huge variety of trailers and options. Manufactured at the Load Trail factory in Sumner, TX, these trailers are built to exact specifications from the best available materials. The result is the highest uniform quality and top of the industry performance and reliability. Car Haulers are available in tandem and triple axle configurations and come in either standard or gooseneck designs. With load ratings from 7000lb to 21000lb, treated wood decks, and ramp loading, you'll be ready for nearly any vehicle. Dump Trailers are built with reinforced steel beds and heavy-duty hinges. Models include single, double, and triple axle options with load ratings ranging from 5200lb to 22,000lb. Goosenecks are also available. Options include swinging or folding rear gates and hydraulic dump actuators. All models come with retractable covers. Heavy Duty Goosenecks and Pintle Hook trailers are ideal for loads up to 30,000lb. Features including folding ramps and hydraulic dovetails make these trailers easy to load for any type of equipment. Optional toolboxes and upper decks available. 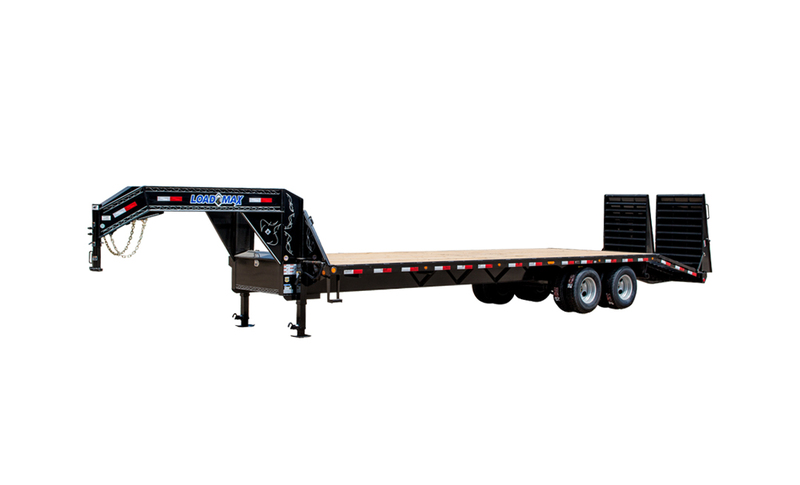 Tilt Deck Trailers offer the fastest, easiest loading for loads up to 24,000lb. An available winch helps you load equipment that isn't running. Perfect for service trucks, these trailers are available with toolboxes, spare tires, and more. Single Axle Utility trailers are ideal for loads up to 7,000lb. Features including folding ramps and tilt decks make these trailers easy to load for any type of equipment. 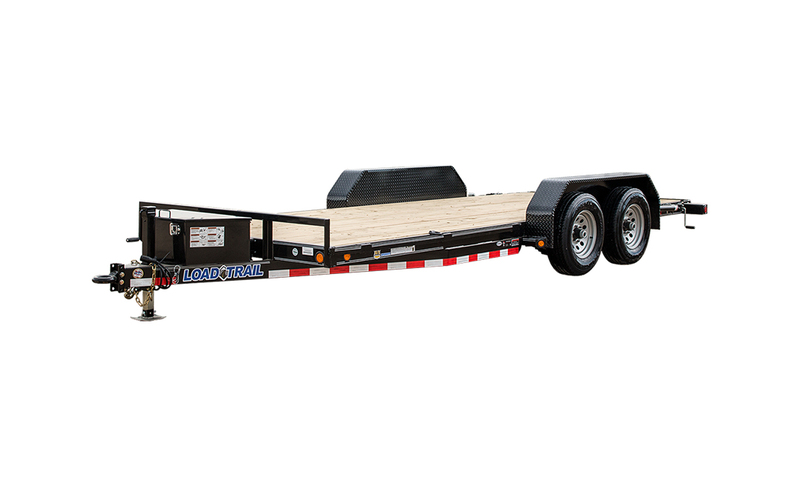 Standard Flatdeck Gooseneck and Pintle Hook trailers are ideal for loads up to 16,000lb. 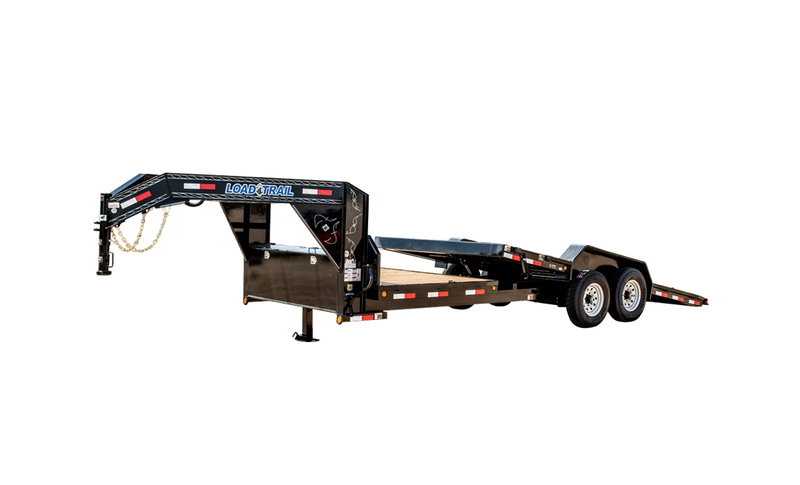 Features including folding ramps make these trailers easy to load for any type of equipment. .
.Tandem Axle Utility trailers are ideal for loads up to 7,000lb. Features including landscape & ATV setups, additional add-ons include Mud Flaps, Toolboxes, Winch and Running Boards. Tank trailers are ideal for loads up to 9,900lb and up to 750 gallons. Features including tandem axles and jacks, mud flaps, toolboxes and solar panel charging system. 2 years comprehensive coverage – This comprehensive coverage will protect you from manufacturing defects on every single component on the trailer. 3 years structural warranty on the entire trailer -If used according to guidelines we guarantee our trailer to be structurally free from manufacturing defects for three years. 2 years road side assistance – This protection will give you the peace of mind to hit the road any time with a 24/7 roadside assistance hotline that will cover your trailer and your tow vehicle anywhere in the United States & Canada for personal or business use. We are confident in our product and have the warranty to prove it. For full coverage and warranty details, please see your Load Trail Owner’s Manual. Our inventory is on the ground, and more is coming in!